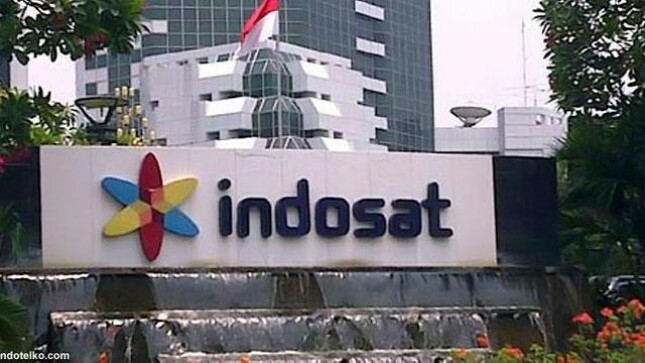 INDUSTRY.co.id - Jakarta - Indosat Ooredoo claims to have prepared much of the day for customers who go home. Therefore, it has prepared an increased data service capacity to 11,394 TeraByte / day, to meet the peak of data traffic increase which is predicted to increase by 83.7 percent compared to last year. Similarly, the increased voice capacity to 37.49 million Erlang / day and increased SMS capacity to 1.01 billion SMS / day has been prepared in accordance with the predicted traffic that will occur. In addition to network capacity upgrades as well as various other efforts that are usually done every year, specifically for Lebaran 2018 there are two new things that Indosat Ooredoo to support the readiness of network Lebarannya, which differentiates from that done in the previous year, the use of a new spectrum for LTE in the frequency 2100 MHz and network optimization automatically with SON (Self Organizing Network). With the existing LTE combination at 1800 MHz with LTE in the new 2100 MHz with Carrier Aggregation, customers can utilize both spectra optimally. This will provide better quality and speed for customers, to access applications that support the smoothness and convenience of traveling and going home, such as social media applications, navigation, information and entertainment. Very high customer mobility especially during Lebaran requires integrated and real time monitoring and optimization activities. By implementing SON, Indosat Ooredoo can perform network optimization automatically to maintain network quality especially along the homecoming route and destinations. "We want our customers to enjoy the best experience in their crucial moments of gathering, stay in touch and enjoy Lebaran holidays, and we also involve over 1800 technical teams to support daily network operations during high traffic, to ensure that our network delivers the best performance for customers, "said Dejan Kastelic, Chief Technology and Information Officer of Indosat Ooredoo through his official statement on Monday (6/11/2018). The continuation of efforts to ensure the quality of the network during homecoming is also done through Indosat Ooredoo Network Operation Center (i-NOC) as a nationwide network monitoring center. "Network constraints will be identified early, so they can be addressed before they are perceived by customers," he explained. Previously, we also tested the network in the route of Semarang-Demak-Kudus, Central Java, to demonstrate the readiness of the network in the part of the Pantura line which is also a solid mudik route on the north coast of Central Java to East Java. In the test network, obtained continuous coverage 4G along the route Semarang-Demak-Kudus. "We also tried various customer service activities such as downloading, live streaming, YouTube and video calling, and the test results show that along the route of the drive test activity the streaming activity runs well and without buffering," he explained.